The raw puerh tea cake, also known as uncooked pu-erh tea pie, is made from compressing around 350g (12.5oz) of Yunnan maocha green tea. Historically tea compression makes transportation of tea more efficient and easy. This special delicacy is from the Yunnan province. This tea can be stored and allow to age. 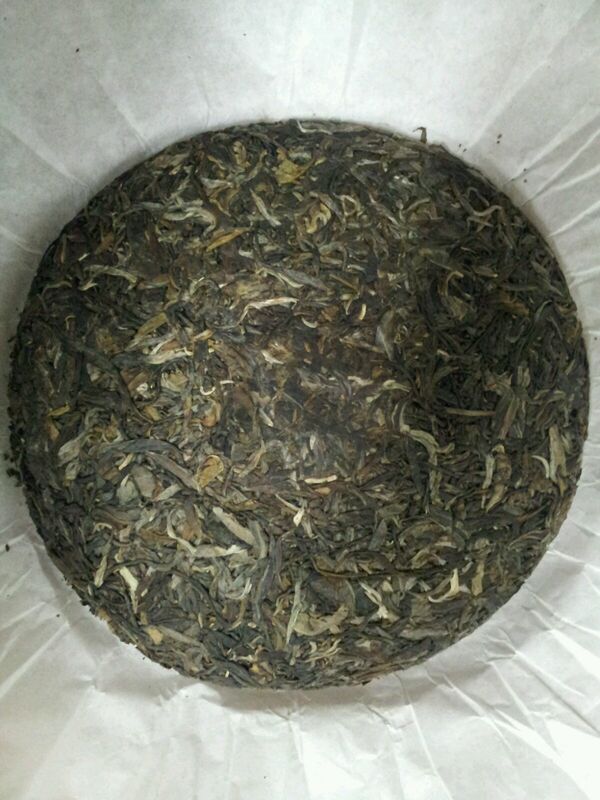 It is well known that the longer you store Puerh tea the better the quality. 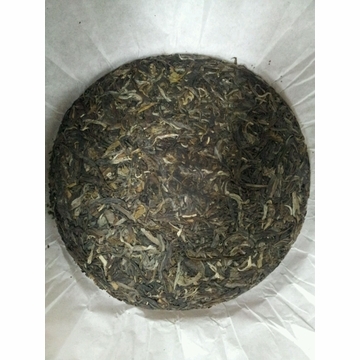 Our raw puerh tea cake has been aged for over 2 years. A knife is needed to pry large horizontal flakes of tea off the cake for brewing. When brewed this tea produces a yellowish infusion with dry clean taste. The taste of this tea will become more mellow when aged. Doctors in Kunming reported that drinking this tea helps to lower cholesterol levels in the blood stream remarkably. This tea with slimming benefits also helps with digestion. Free shipping with purchase over $60.